This two tone tartan designed coat is inspired by the traditions of the Highlands of Scotland. 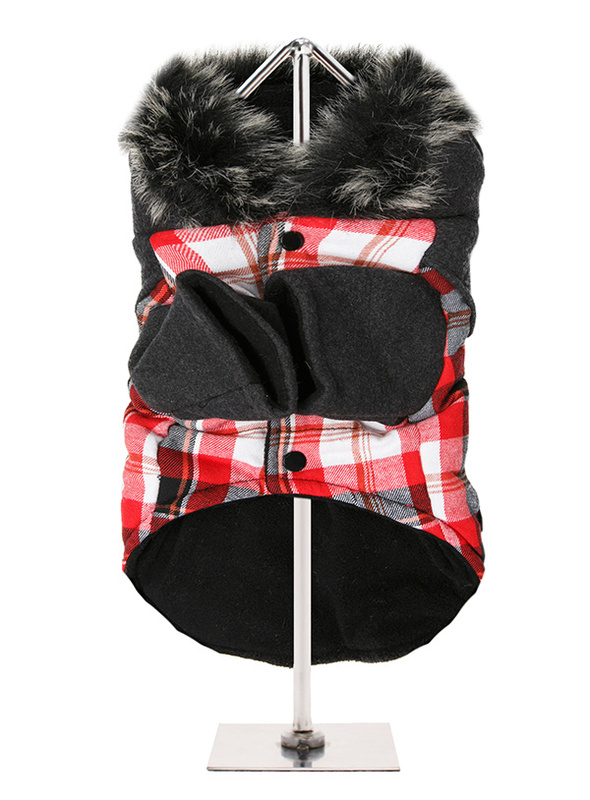 It is fleece lined to keep your dog snug and warm. 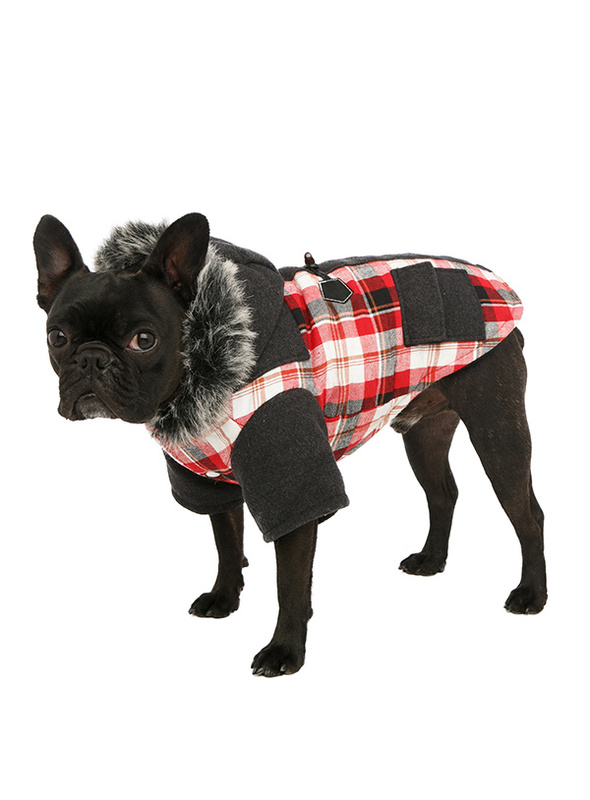 It also has a faux fur trimmed hood with is both stylish and practical. 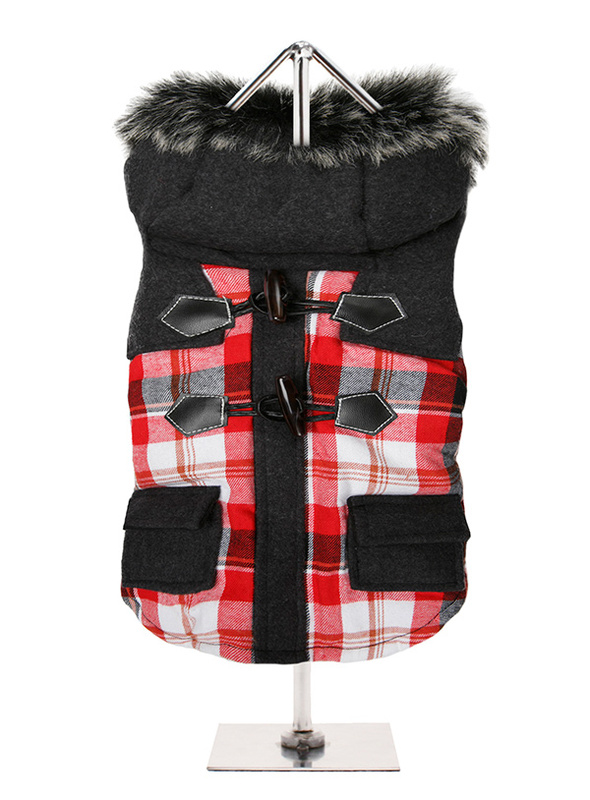 It fastens from the underside with four pop-on pop-off buttons and is finished on top with two pockets and two faux toggle fastenings and features a leash hole to allow a harness to be worn underneath. Perfect for the colder weather! !